Kimberly Blaeser is a Professor at University of Wisconsin-Milwaukee where she teaches Creative Writing and Native American Literatures. She is the author of three collections of poetry: Apprenticed to Justice, Absentee Indians and Other Poems, and Trailing You. Blaeser is Anishinaabe, an enrolled member of the Minnesota Chippewa Tribe, and grew up on the White Earth Reservation in northwestern Minnesota. 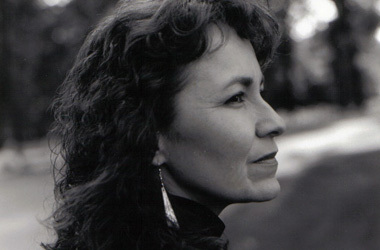 She is the editor of Stories Migrating Home: A Collection of Anishinaabe Prose and Traces in Blood, Bone, and Stone: Contemporary Ojibwe Poetry. Blaeser, is currently at work on a collection of “Picto-Poems” which combines her photographs and poetry.